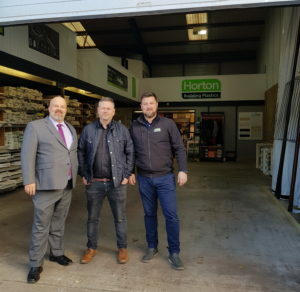 Horton Building Plastics opened its first trade counter 19 months ago in Cobridge, Stoke-on-Trent, and in November, Liniar Business Development Director Tony Basile and Regional Sales Manager, Phil Turner were there with the team for the opening of their second trade counter in Park Hall, Stoke-on-Trent. 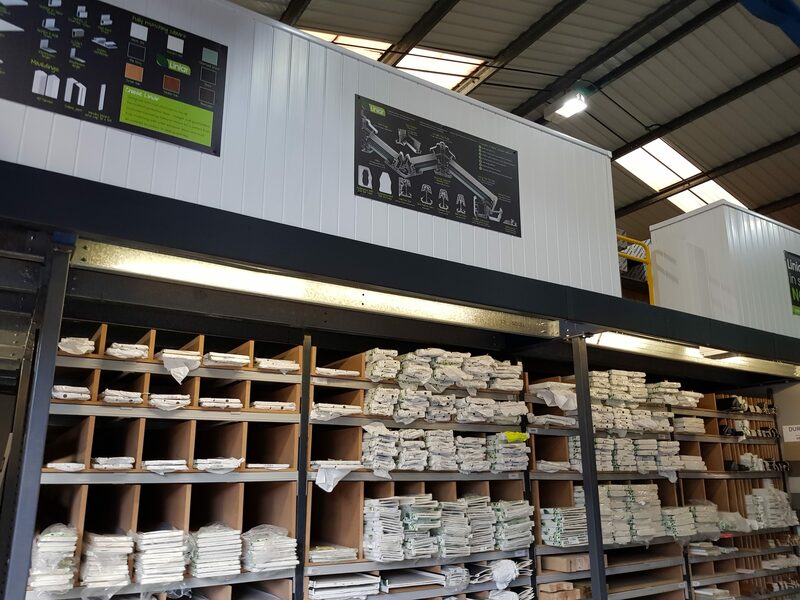 Since the day Director Rob Horton opened his first trade counter, he knew Liniar was the brand he was going to use to stock his shelves. From the way the company designed its branding to mimic the colours of Liniar to the brand new Elevate lantern roof sitting above the checkout area of the new Horton Building Plastics’ location, Rob Horton believes in Liniar and the products the innovative systems company produces. We asked Rob Horton what made Liniar stand out from the rest of the systems companies; this is what he told us, “Liniar is different from everyone else on the market. The products Liniar produces are a high quality, and at the right price point. The day of the new location’s grand opening was a success. Horton Building Plastics handed out free s ausage sandwiches, and despite the temperature being frigid, it was nice and warm under the lantern roof. 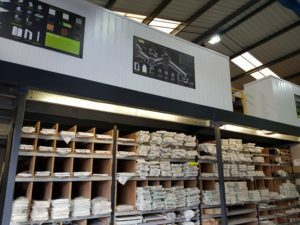 Along one wall, there’s a display of fabricated Liniar windows, and along the other are Liniar soffits, fascias and foam trims which are stocked in a variety of colours. With the installation of the Elevate lantern roof at the Horton Building Plastics’ trade counter, the team was able to give us a first impression on its installation. Touted to have the ability to be installed in under 30 minutes, the Elevate lantern roof has a lot to live up to. The Elevate lantern roof from Liniar features transom-free vistas up to a specific size, and the ability to be foiled to perfectly match an existing suite of Liniar windows, bi-folding doors or conservatories. Available up to 2.4m x 5.4m in kit format, Elevate is made to order and delivered to site within five working days. As with the rest of the Liniar range, the new lantern roof comes with the 10-year guarantee and support from a team with a combined 500 years’ experience in fenestration technology, as standard.